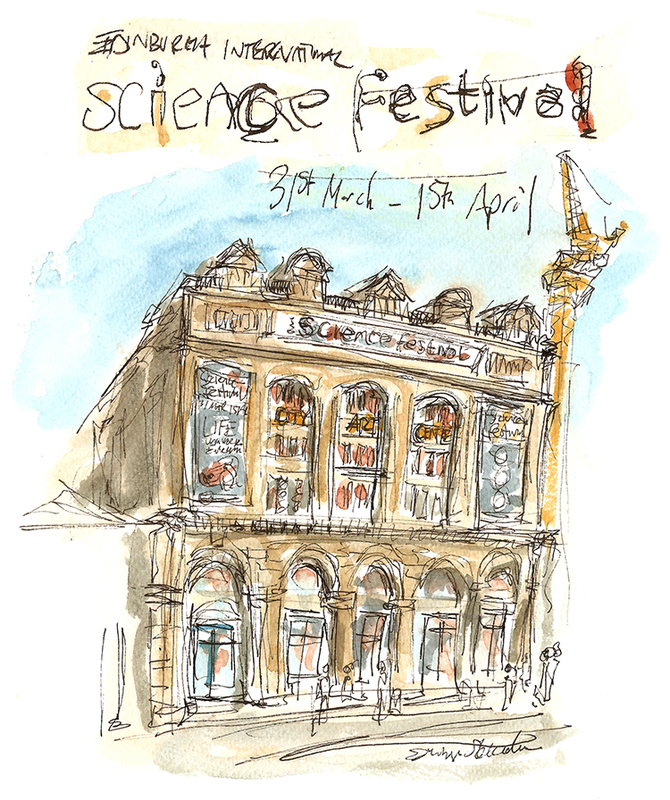 Last night I sketched at the Edinburgh International Science Festival launch night at the City Art Centre in Market Street. 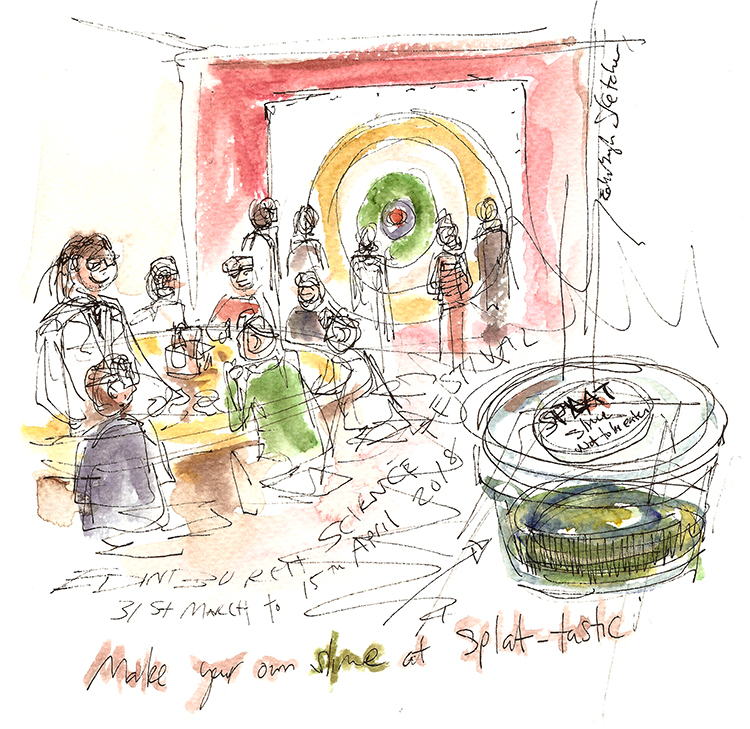 24 hours ago I was creating sparkly slime on the third floor of the City Art Centre. Protected with goggles and an apron I miced my sticky potion until once happy with the consistancy, I launched it at a huge target on the wall, creating a satisfactory splat. Over five floors the City Art Centre has once again been transformed in to a laboratory of messy and fascinating experiments. 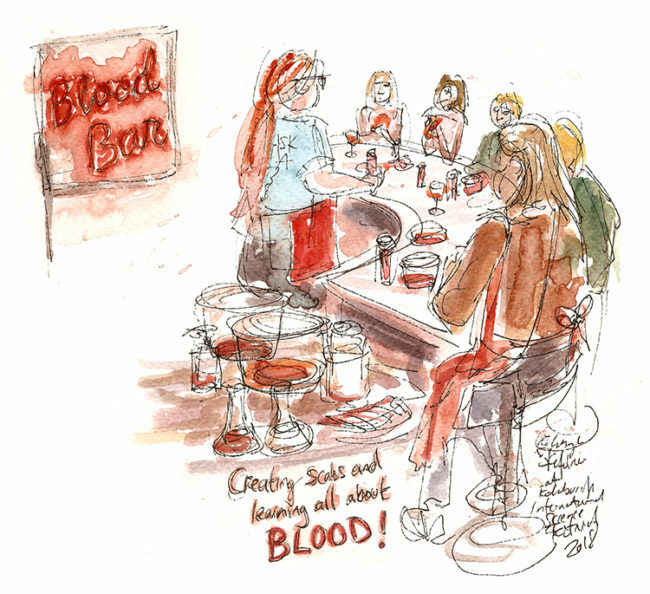 I loved creating scabs by congealing a bloody mixture in the blood bar as well as drawing with mini robotic cubes. 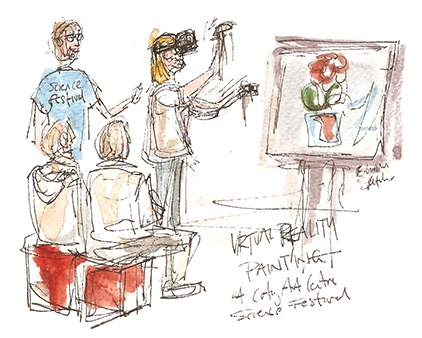 There was also Lego building, hula hooping and having ago at 3D pain gin using a virtual Dalits headset. 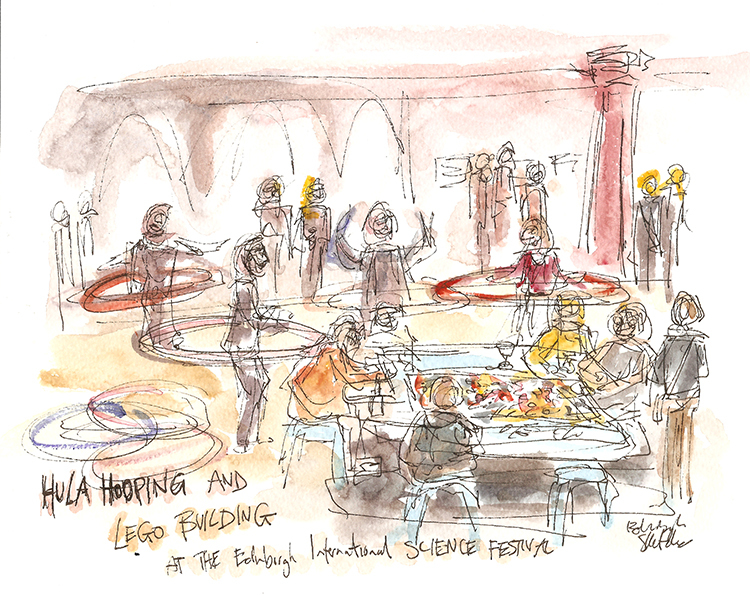 Great fun for all the adults there last night for the ‘Lates’ version of the popular Science Festival location. The City Art Centre is always popular with families as you can easily spend the whole day inside touring the many experiences, some of which can be booked in advance but also many are simply drop in so there is always something to see and do. Visitors book a day pass and then can explore as many of the experiences as they wish. Have a look through the many interactive activities via the link below. I am looking forward to returning soon as I only got around about half of what is on offer! 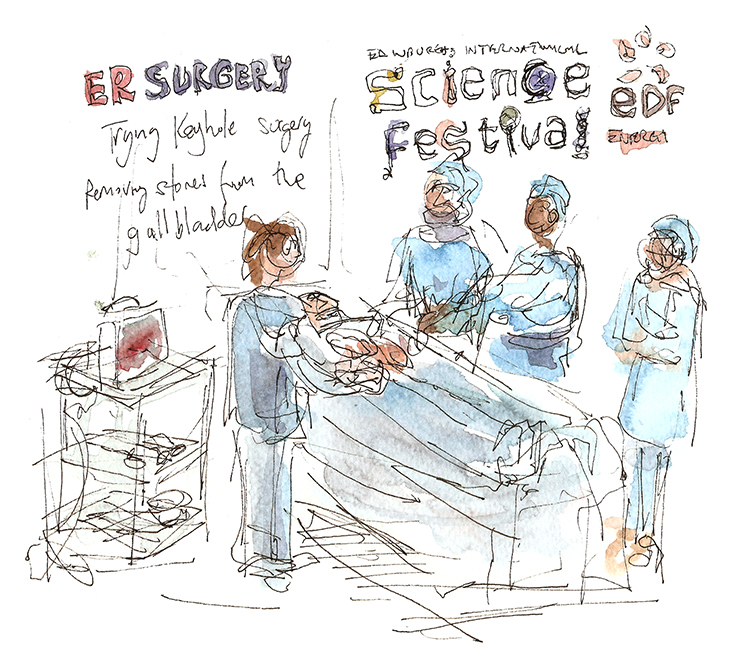 Edinburgh International Science Festival at the City Art Centre. My sketches we created on the night using an ink fineliner 0.5 and a water brush and small paint set. 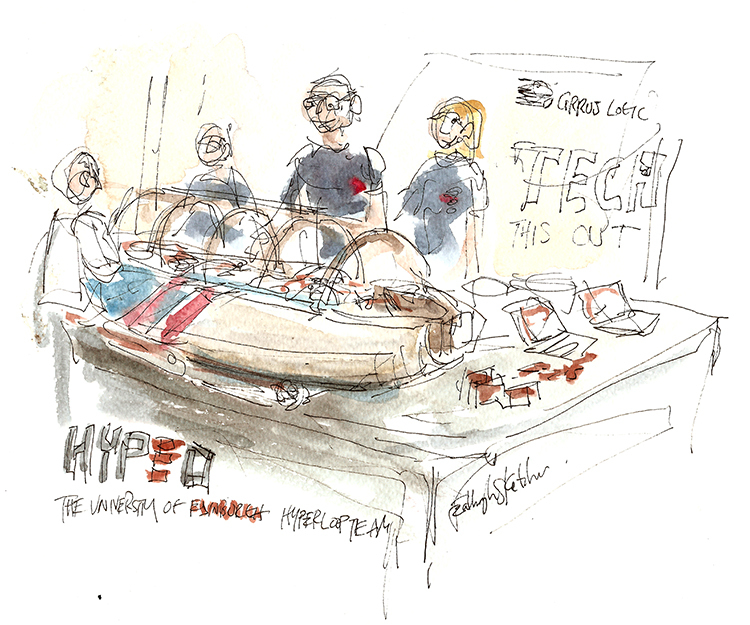 If you would like your event sketched then I offer half and full day packages. Email me HERE for more information.